MARCH 14, 2015 — Pope Francis has proclaimed the first holy year of his pontificate, and it’s a good one! When Pope St. John Paul II canonized St. Faustina Kowalska, he simultaneously instituted Divine Mercy Sunday as a permanent part of the Church calendar. Pope Benedict XVI also echoed his predecessor in emphasizing that we live in an era where the Lord is eager to welcome sinners and impart His mercy. Francis picked up on this only days after he was elected to the Chair of Peter two years ago. 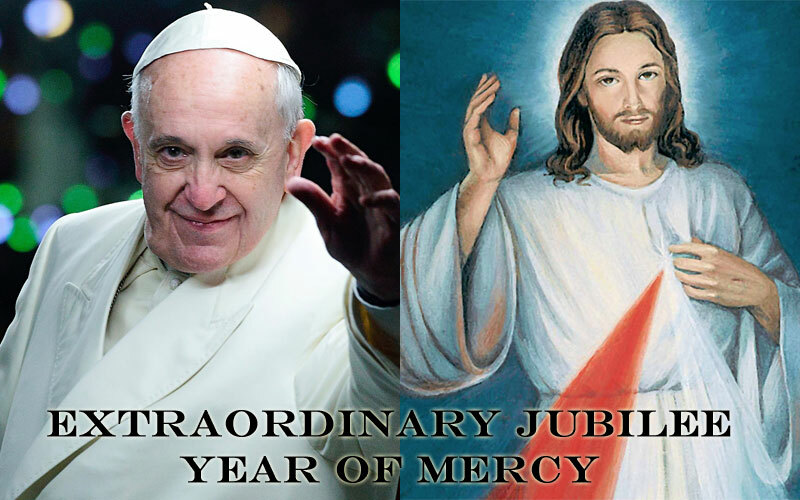 He repeated those words yesterday when he proclaimed an Extraordinary Jubilee Year of Mercy. He made the jubilee announcement yesterday during his homily of the penitential celebration with which he opened the “24 Hours for the Lord” initiative in St. Peter’s Basilica. The “Jubilee of Mercy” will commence when the Pope opens the basilica’s Holy Door on the Solemnity of the Immaculate Conception, 8 December, and concludes on Nov. 20, 2016, with the Solemnity of Our Lord Jesus Christ, King of the Universe. Report from Catholic News Agency. PATRICK NOVECOSKY is the editor of this blog and editor-in-chief of Legatus magazine.